In Untold Adventures: Deluxe Edition you'll find all the material previously released in Untold Adventures and Unsung Heroes, as well as a short introductory adventure -- all combined into a single volume. In addition, the book has been illustrated throughout by William McAusland and features cover art by Jim Wampler! Digest sized print-on-demand and optimized PDF are coming soon. As with all products in the Untold Adventures line, the digital release of this product is Pay-What-You-Want! Swords & Wizardry, S&W, WhiteBox, and Mythmere Games are the trademarks of Matthew J. Finch. Barrel Rider Games is not affiliated with Matthew J. Finch or Mythmere Games™. This product is compatible with the rules of Swords & Wizardry: WhiteBox rules. Ive never played White Box- where can i get the basic rules on playing? Ive started with B/X D&D Moldvay. Any help would be appreciated. Thanks. For what it's worth, I'd be happy to add bookmarks to a PDF and send it back, if you don't have the tools for this. But I'd really rather add them and sent them to the author. very good game , POD available soon on driveththru or lulu ? Yep. Its in the works! I love this! Just when you think you can’t do with any more ways to play OSR dungeon games, up pops James with a gem! The pdf is immense however! There must be some issue with the cover image I think because 150+ mb for a similar number of b/w pages can’t be right! I can’t up load it to my ebook reader cos it’s too big! Jon, I just optimized the PDF to 3.5 MB. Should be a lot less clunky now. Sorry about that. Fab! I will check out my library and reload it! You might want to optimize the sample as well. 158MB for a 7 page PDF is bananas. Please consider adding bookmarks - even just one level of chapter headings (and the ToC itself, too) would be fantastic for jumping around. FYI: James: I have tried to download this three times this morning on three different computers. When it gets to a few seconds left, the file just freezes up and then shows "failed". 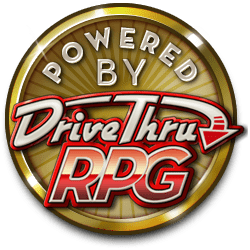 I am guessing it's some error with RPGNOW ? Try now. A new PDF has been uploaded and is a lot smaller. Went from over 100 MB to just over 3 MB. I'll hold off on contacting CS since it might just be a timing issue. ...and yeah, came through fine on my end.